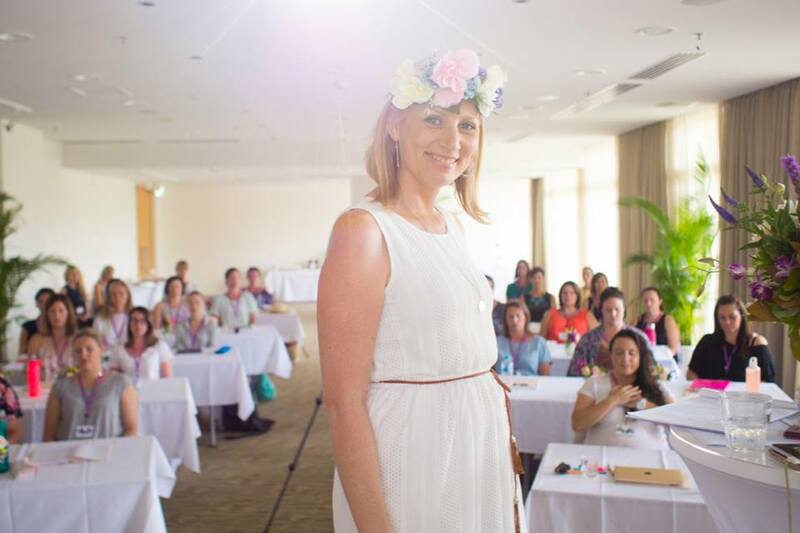 Last week I was very honoured to speak at Soulpreneurs Summer School, an inspiring few days with beautiful women all there to get clear on their purpose and shine their light in the world in 2017. I’ve never experienced anything like it. It was practical, potent business advice from some of the world’s best (e.g. Michael Maidens who’s a pioneer in the digital space, being responsible for the Food Matters free worldwide screening that reached millions and has since become common practice for many online launches) mixed with soul (full moon releasing ceremony on the beach, animal kin oracles and self-care strategies). In my opinion, it was the epitome of ‘feminine leadership,’ bringing the gentle, soulful approach together with the masculine, practical advice to actually get stuff done. Which is exactly what Soulpreneurs is all about. I’ve been a ‘solo-preneur’ or ‘entrepreneur’ working from home for a few years now and am constantly learning new ways to make that work best for me so that I can have the impact I’m hoping to have in the world. So I wanted to share a bit of that with you today. In this part of my session I shared about what works for me in terms of working gently and being productive in my day. As you probably know if we’ve been connected for a little while now, I’m all about doing things gently. Being gentle with ourselves, with each other and with our beautiful planet. And that extends to the way I work in my training school, Shine From Within. Hang out and wake up gently for a few hours. This might include meditation, playing with our fur baby Trudi, going for a walk, having a slow breaky or cuppa on the deck. Sometimes I wake up inspired to just sit down and work which I’ll indulge in every now and then. However, most of the time when I do that I feel like the day gets away from me because I then tend to go through the day reacting to whatever comes up or into my inbox. I prefer instead to consciously plan out the top 3 things I’d like to work on that day. After having a lovely little morning, I then tend to open up the app Asana on my desktop to see what tasks I’ve got to do and select the top 3. At around 10am my time, I know that my beautiful assistant Brylie (who’s a past student of mine and lives over in New Zealand) is sorting through my emails and actioning everything that she can so I tend to check in at around 11am to make sure she doesn’t have any questions. Then I’ll go back to reading and actioning emails myself later in the day (trying my absolute best to jump in there ONLY once a day to read and respond to emails rather than checking it all day long). I’ll then forward any emails that require further action, such as an invoice to pay, to Asana which will automatically create a task for me. Then every Monday I’ll make all my payments rather than, once again, reacting to whatever comes in to my inbox that day. Depending on whether I’ve got appointments throughout the day, where my online Youth Mentor Training students are at, whether I have skype calls or parent phone calls booked in, or am going out to teach at a school that afternoon, my day always looks different. Sometimes I crave consistency and scheduling because working from home does have it’s own set of challenges (the fridge just beckons to me all day sometimes….ha!). So what I’ve found to be really helpful lately is a little technique called the Pomodoro technique. It’s a time-management technique that suggests you choose a task and work on it solidly for just 25 minutes. Then you take a 5 minute break. After 4 of these you take a longer break. This free timer makes it a fun way to do this on your computer or phone. It’s amazing how productive you can be when you focus on just 1 task for 25 minutes! It’s great for self-awareness too… I found it really interesting to notice just how often I allow my attention to be distracted and pulled in different directions when trying to do 1 task. A new challenge for me this year has been writing a book (out with Hay House later this year – gotta do a little plug right?) and that has opened a whole new can of worms in terms of productivity. It’s taking a lot of discipline to stay focused on that as my business keeps going on around me, especially being someone who gets overwhelmed easily. So what’s working at the moment is blocking out 3 or 4 hours per day to focus on it, with weekly word count goals to strive for. Sometimes this is early in the day when I’m feeling fresh and sometimes it’s late at night when I feel like the world is asleep and I can really dive into it. On a weekly basis, I’ve started to schedule time off too because otherwise it’s just too easy to remember something and jump back into work-mode. I have Sunday’s totally offline and Wednesday afternoons off for play time (catch up with girlfriends, a trip to the beach, etc). Fortnightly, I have chats with a mastermind group (beautiful Nicola Newman and Naomi Arnold) who also run their beautiful businesses from home (Nic is a creativity teacher and artist while Naomi is a life coach). The biggest thing I’ve learned when it comes to working in my business, is that there are no hard and fast rules. You get to choose. And for me that often means checking in with what feels right in the moment MIXED WITH productivity tools and discipline to get stuff done (the stuff you actually need and want to create, not “business-related” social-media surfing). I love the concept of going with the cycles too…acknowledging that some weeks you will be super pumped, inspired and will get a ton of stuff done. And other times, you’ll need more space in your week to recuperate. **NOTE: Keep in mind that I spent years doing the juggle between building my business and working for others (and that always means long hours and dedication to whatever you’re building/creating). My partner and I both work from home together with just our little fur baby – no kids here – so that also makes life very different compared to the beautiful mamas out there. All we can do is find the little “wins” that help us bring a little extra gentle into our day and I hope some of these strategies or the below tools that work for me might also help you too. Courses + Programs – I’m constantly investing in new programs to up-skill but mostly because I love connecting with different people and being part of a supportive community. Soulpreneurs is one such community that I absolutely love, almost as much as my own beautiful Youth Mentor community (who are freakin’ amazing!!). Above all, having a community around me, even if it’s mostly online, is what keeps me motivated, inspired and moving forward in my business. Soulpreneurs has just opened it’s doors for 1 week. So if you’re feeling called to take the leap and build your own soulful business, this is for you. I don’t know of any other business course that integrates inner peace, purpose, prosperity and creating platforms for a positive influence on the world. 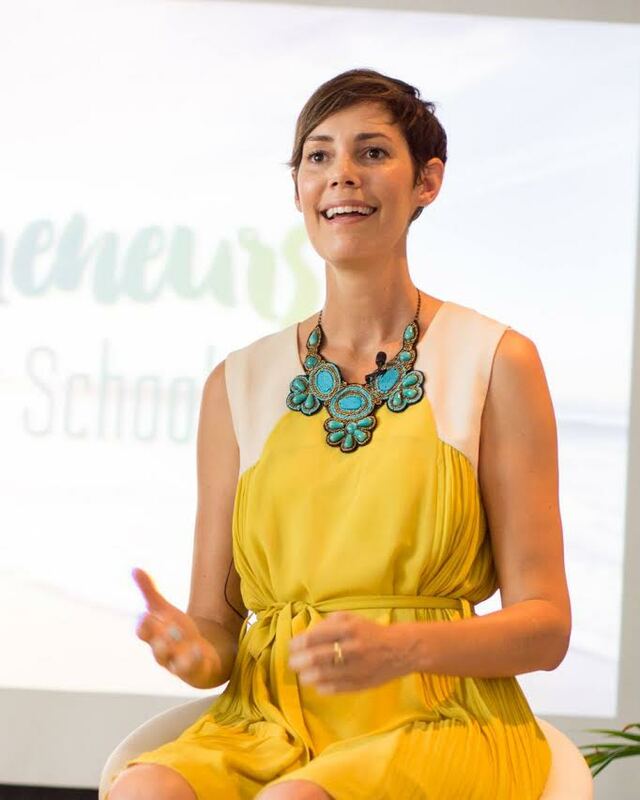 There is not one student in this community who’s primary goal is to make a ‘6-figure’ or ‘7-figure’ business, and in fact, Yvette is always reminding them that making money is OK, giving them the tools to do this in a soulful way. I’m a proud guest teacher in the program and enjoyed going through this program myself during the first round, which I shared about in another blog post here. This is the time for more soulpreneurs to step up, even if, like me, you are more introverted and gentle. Even if it feels scary. Being surrounded by like-minded souls is the best support you can have. Ohh it makes such a difference to start the day off slowly Renee! Even if it means getting up at 5am so you’re ready to start by 8 – that 3 hrs of hanging out and slowing getting ready for the day is bliss!